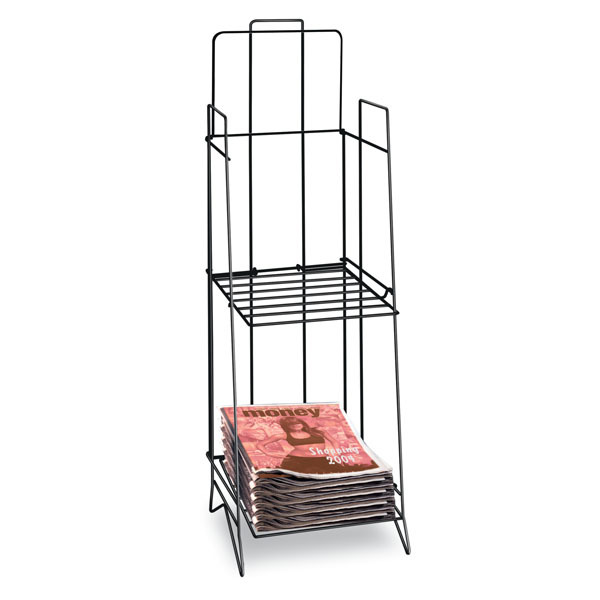 Display a variety of publications for your customers with the Tabloid Newspaper Display Rack. Space saving Tabloid Display Rack accommodates a 15" W x 11 1/2" H tabloid size newspaper. The Tabloid Display Rack is a 2 shelf display with folding capabilities. Each shelf is 12 3/4 in. W x 15 3/4 in. D.
Features a 12"W x 8"H sign holder for signs up to 3/8 in. thick, simply slide in your sign to the top wire. Let our custom department create a sign exclusively for you starting at only $7.99 each - call for details.